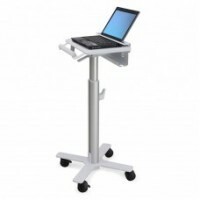 The Sit-Stand SmartMat is the only anti-fatigue mat they really works for sit and stand desks. 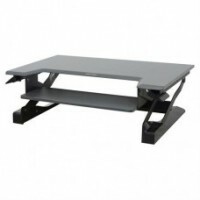 It allows the user to move the mat without bending over to pick up or move the mat. 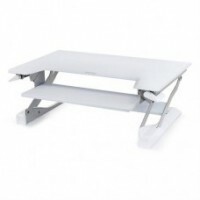 If you have someone with back issues you don't want them bending over all the time to move their standing mat. 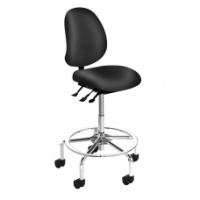 o Anti-Fatigue Mats are great for standing but get in the way of the chair for sitting. o Chairs must be rolled on top of the mats where they don't fit and "lock" into position OR users must bend down to move the mat. 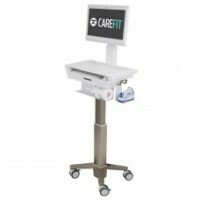 o Foot activated, which allows the mat to "move like magic". 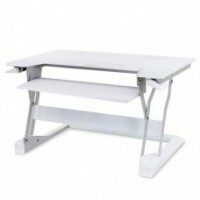 o Easily moved back and forth under the desk without bending or lifting. 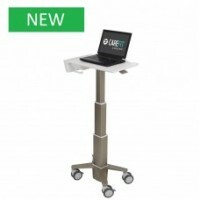 o Proven to increase standing times. 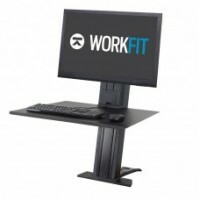 Standing Desk Converter - Medium Surface WorkFit-T features an economical design and smaller footp.. 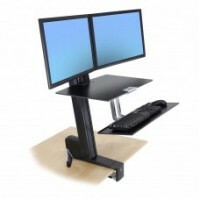 Standing Desk Converter - Large Surface Presenting an ultra easy standing desk solution, which qui.. 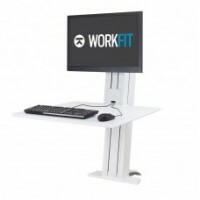 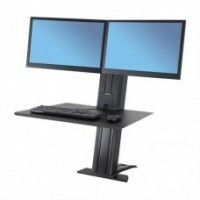 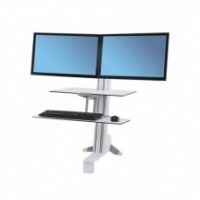 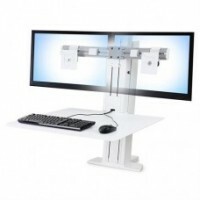 Standing Desk Attachment - Rear Clamp The WorkFit-SR positions a complete workstation within the f.. 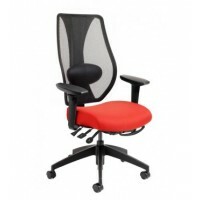 The tCentric Hybrid combines the best attributes of the leading mesh chair with the industry leading.. 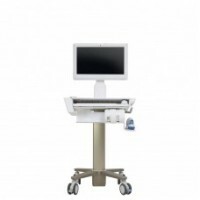 Built using the same high quality materials used in all ergoCentric chair lines, the Saffron R serie..
Sit-Stand Desk Attachment - Rear Clamp Own your space while infusing movement and ergonomics with ..
StyleView® Laptop Cart, SV10 Documentation Medical Cart The nimble SV10 effortlessly moves to the ..